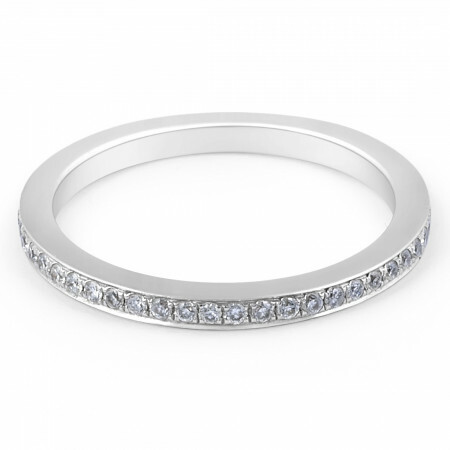 Modern style 18 Karat white gold diamond wedding band finely set with 39 sparkly round brilliant diamonds. 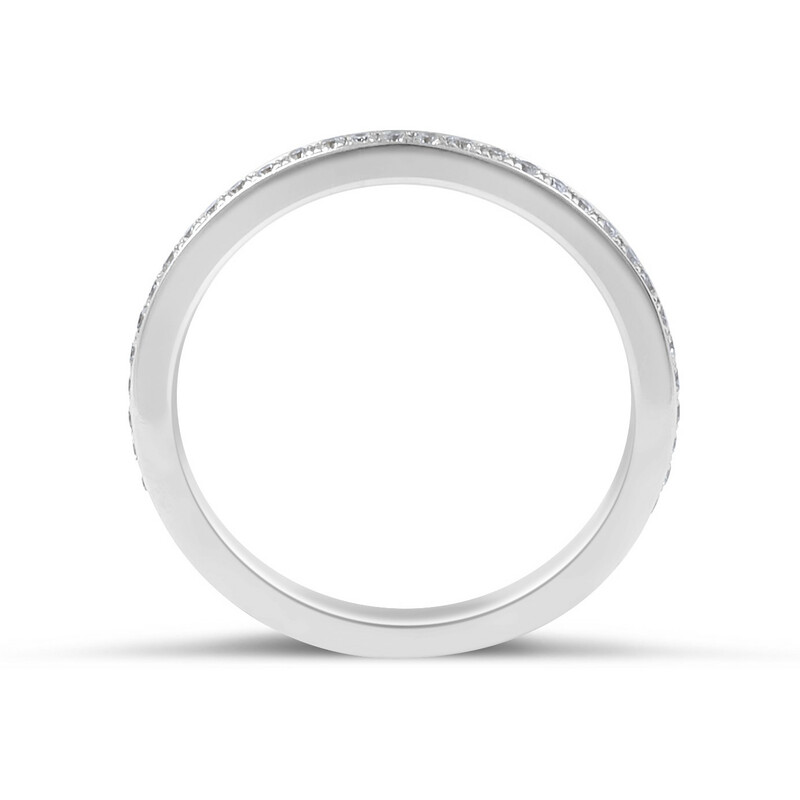 The slim band and the intricately set diamonds in a channel setting gives the ring a modern and timeless finish. 18 Karat White Gold modern Style channel set diamond wedding band 39 RD:0.26CT Gold Weight:2.35g Band Width: 1.8 mm.